David DJ Creato, 24, stood alongside his attorney, Richard J. Fuschino Jr., at Camden County Superior Court, Friday, Sept. 29, 2017. Creato was sentenced to 10 years in a manslaughter plea deal. Just shy of two years since his 3-year-old son was found dead, draped over a rock in a stream, David “DJ” Creato, 24, was sentenced Friday to 10 years in prison in a manslaughter plea deal. Parole is possible in 8.5 years, but factoring in time-served credits – 628 days – Creato could be out of jail far sooner – perhaps 6 years and 10 months. He has been jailed in Camden County since January 2016, when he was arrested and charged with killing his son. His manslaughter sentence will be served in a state prison assigned by the New Jersey Department of Corrections. Creato was impassive, even when a victim statement was read and the court played a montage of photos of Brendan assembled by the family of his mother, Samantha DeNoto. In a statement read by Christine Shah, the assistant Camden County prosecutor who argued the case, the boy's maternal grandmother, Danielle Collins, wrote: "DJ, one day I hope you are able to speak the truth.... Killing Brendan should not have been the option." Samantha Denoto, mother of Brendan Creato, bows her head as Assistant Camden County Prosecutor Christine Shah speaks during the sentencing of David “DJ” Creato at Camden County Superior Court, Friday, Sept. 29, 2017. Creato was sentenced to 10 years in a manslaughter plea deal. Shah made no comments after the hearing and the DeNoto family left the courthouse without speaking. Creato originally was charged with first-degree murder and second-degree child endangerment in the October 13, 2015 death of his three-year-old son, Brendan. 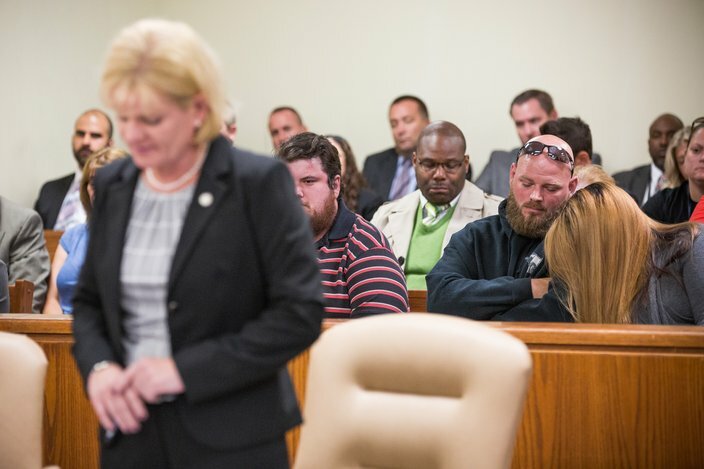 But after a long and emotional trial – two law enforcement officers and several relatives cried while testifying – a mistrial was declared late in May by Camden County Superior Court Judge John T. Kelley. A second trial had been set for Sept 11, but instead a plea deal was struck Aug. 23 that reduced Creato's charge to one count of manslaughter. 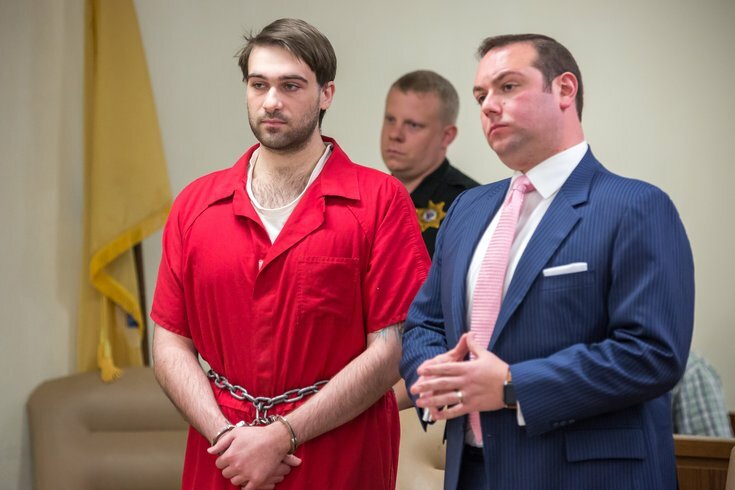 It was negotiated by the Camden County Prosecutor’s Office and Creato’s Philadelphia-based defense attorney, Richard J. Fuschino Jr.
Creato pleaded guilty that day in a largely empty courtroom – the media was not informed of the last-minute session. In a carefully worded statement that day, Creato told the judge he had deprived his son of oxygen, causing the three-year-old’s death. But the statement did not provide any further details, such as how, when, where or why, or how Brendan’s body got from their Westmont apartment to a small stream in a wooded section of Cooper River Park, more than half a mile away. No new details of the killing emerged Friday. Creato declined to say anything other than "no" when asked by the judge if he wanted to speak.